At the time of its initial publication, Public Administration helped to define this field of study and practice by introducing two major new emphases: an orientation toward human behavior and human relations in organizations, and an emphasis on the interaction between administration, politics, and policy. 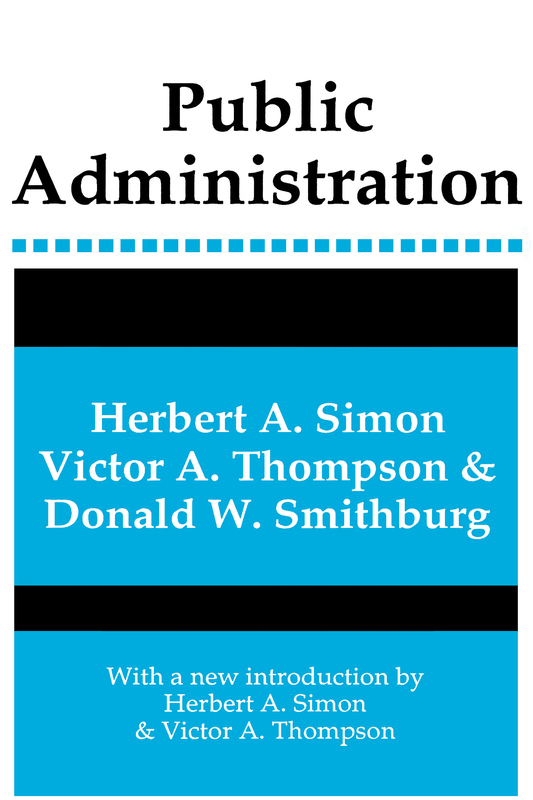 Without neglecting more traditional concerns with organization structure, Simon, Thompson, and Smithburg viewed administration in its behavioral and political contexts. The viewpoints they express still are at the center of public administration's concerns.